Something happened on my way to building the new rose garden. A memory so vivid it took my breath away. Fragrance triggers are like lightening bolts in our brain. The fragrance was the smell of a lilac bush just starting to bloom on a cool spring evening. Last year there was a raggedy half dead bush behind the little red barn. It looked like one of the trees that come to life and start dancing around in a Disney film trying to scare little kids. I thought it might be a lilac bush. 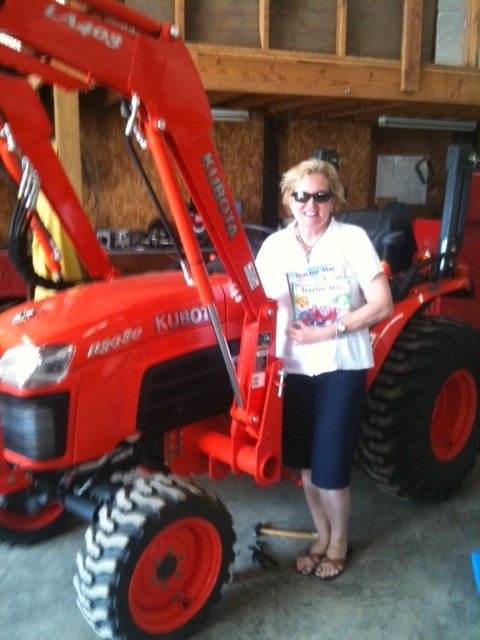 Merciless, Big Daddy, Rider of our own Tractor Mac (Kubota) wanted to plow it over with his big tractor. Apparently it was in his way to reaching top speed on the Indy500 mowing track. He likes to push stuff over with the tractor, Why? Because he can. I sawed off all the dead wood, trimmed it up and begged for its life. Magically, Sunday night this little lilac bush bloomed. I hadn’t noticed any buds. It just popped out and bloomed. I wish I had a before picture. It’s like a phoenix risen from the ashes. Let me tell you where the fragrance took me. When I was little we had a big lilac bush at the back of the property. I grew up on the north shore, one mile off Lake Michigan 38 miles north of Chicago. We planted a big vegetable garden near it, and played in the field by the big lilac bush surrounded by the intoxicating smell of the lilacs. We had lovely neighbors that we visited over the fence, and I thought of them. I can still hear the Laird’s huntin’ dogs baying when we got too close to the dog kennels. Mr. Laird walked the fields along the creek with his huntin’ dogs flushing out the quail that we fed in the back yard. We walked in the creek and caught crawfish of all things. The creek had a concrete bridge that you could wade through the water underneath and see the scariest spiders you can imagine. The adventure was praying the spiders didn’t drop on you while wading under the bridge. Spiders fallin’ on you are far scarier than trolls on the other side. One giant garden spider dropped on my brother Larry, he let out a scream, and streaked outa there like a ghost was chasing him. We also caught garter snakes. Yes, I caught garter snakes. No I’m not afraid of them, just spiders. 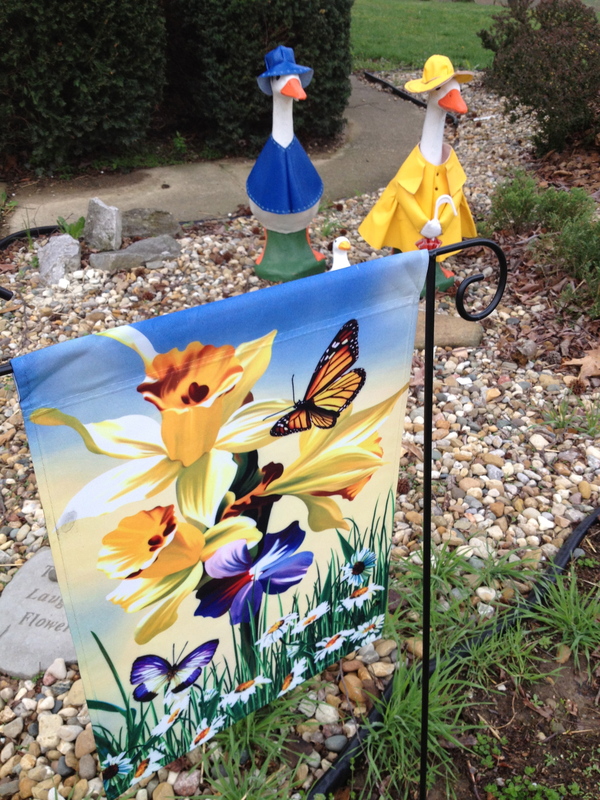 We raised our children there in the outside world of fields, creeks, lilacs, spiders, snakes, roses & vegetable gardens. All of these memories were triggered by the smell of lilacs early one soft Sunday morn. Home of peonies, lilac bushes, and the Lake. I love Illinois. Great post. Glad to see the geese girls guarding the gate! Sounds like you made a good move from Big D back to Illinois! That was a sweet story! So glad you “saved” the lilac! Beautiful story! Like you fragrance has a great impact on me. Remembering the smell of old roses as a child sent me in search of them as an adult! 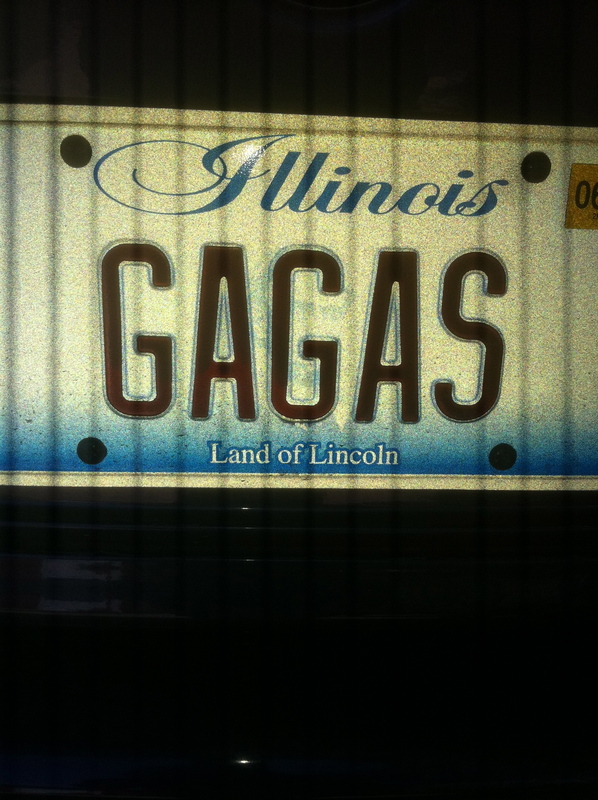 I love your lilacs gaga! 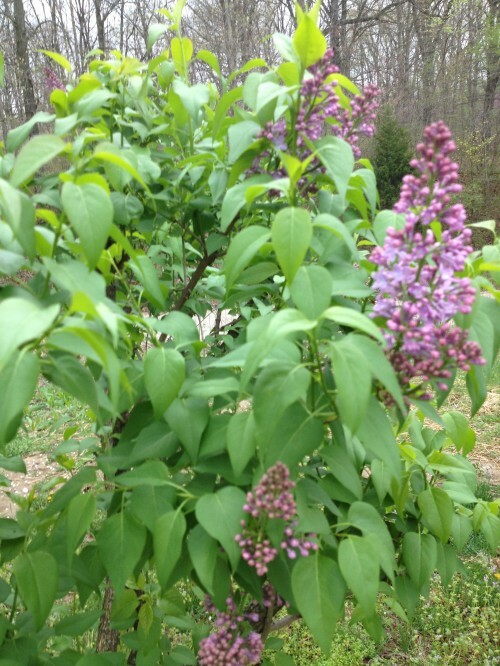 After living in Texas since 1987 I am ecstatic to be back in Illinois and have my very own lilac bush. It’s true I saved it from destruction. Big Daddy is ruthless with that tractor on a mission. 😉 To see it bloom was very special. Thanks for commenting I hope you will be a frequent visitor. As a horticulture therapist, I know how strong lilacs are valued by my seniors at work. Living in FL we all pine for the scent of lilacs. 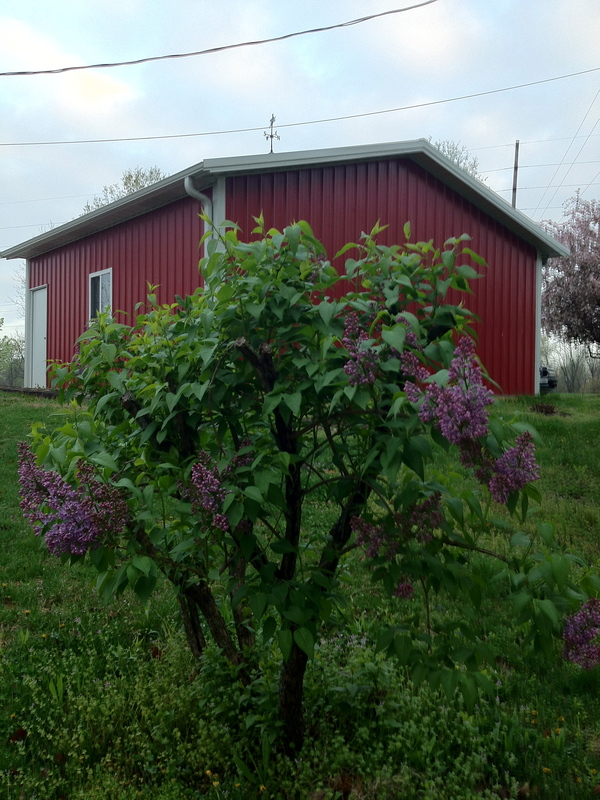 I was so thrilled to discover that I had lilacs on the property. We had a lilac bush when I was growing up but this little bush was in pretty bad shape when I discovered it here on the 3 1/2 acres we restored. I managed to save it but I hope it is OK after the terrible drought of last summer. It suffered pretty badly. Thanks for your comments Robert. I do so admire your work.